The final Swedish-Hungarian Innovation Day was held in Budapest recently, and Sigma Technology had a strong presence. The focus for this final Innovation Day was on business innovation and the next generation. 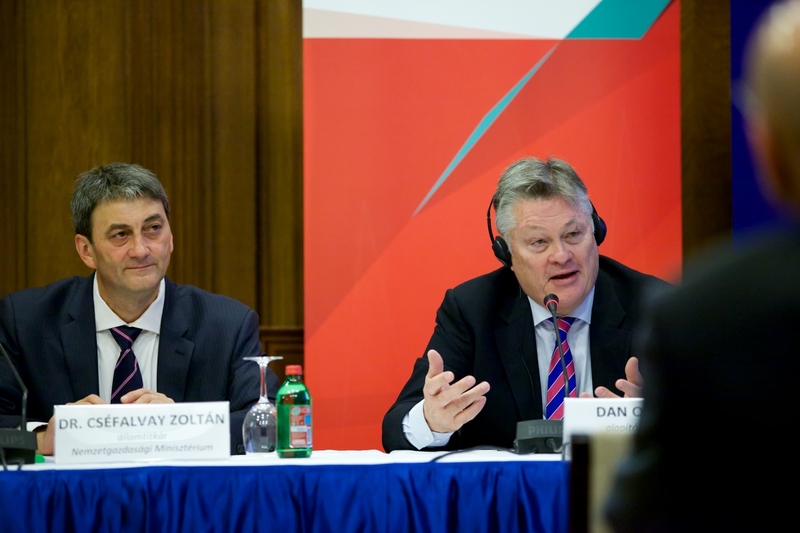 Dr. Zoltán Cséfalvay, Minister of State for National Economy, held a key note talk and was also present on the discussion panel, along with Karin Olofsdotter, Sweden’s Ambassador to Hungary, and representatives from other Swedish companies active in Hungary. Dan Olofsson, founder and owner of the Sigma Group represented Sigma Technology on the discussion panel. It was really great to see Dan attend and show that this is something that the whole of the Sigma Group is interested in. Some Sigma Technology employees were invited to a gala dinner at the residence of the Ambassador of Sweden in Hungary the evening before the Innovation Day. It was a very nice affair, and a great way to see off the final Swedish-Hungarian Innovation Day of 2013. This was the final event for 2013, but we are very keen to see how these events develop in 2014, and intend to continue our support and participation in such a worthwhile event. We would like to thank everyone that was involved with the 2013 events, and special thanks to the Swedish Embassy in Hungary.